The Multi-Angle Cable Block adjusts itself to a bending radius from 12 in. (305mm) maximum down to a straight line to reduce friction when pulling cables around a corner. 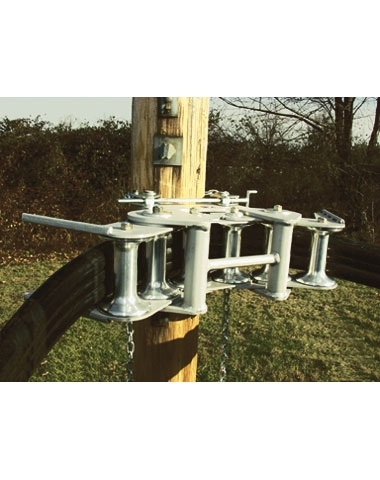 This pole-mounted aerial block is used in stringing applications that call for placing lashed or single mode cables up to 5 inches (127mm) in diameter, such as 3 bundled 750 MCM cables or equal. 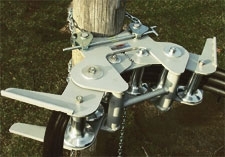 Attaches to a pole with an inclusive, steel chain binder.